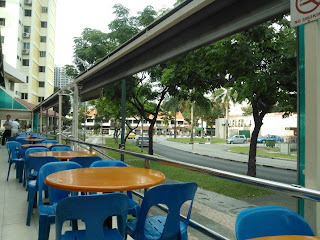 It was a lazy afternoon at a coffeeshop in Bt Gombak. A brief look at the iPhone as my friend Leonard read through the alleged blog of a beligerent friend. A shrug and a smile later. "I know why you are feeling so this way. You are all grieving for the loss of a friend." "We all did what we can to convince him. But it will come to a point where you just had to let go." "He made his choice, and for better or worse, he will face the consequences of his actions. He should know that by doing all this he will lose his old friends. Yet he did it. You can't control another person man. Let him be...We probably don't mean anything to him now. So why bother getting angry over it."